Clearwater offers a unique combination of privacy and accessibility that makes this resort in Clark Philippines one of the most sought after event venues in Pampanga. Located inside the central business district of Clark Freeport Zone makes these event venues in Pampanga the most popular choice for Manila event planners. Manila event organizers and corporate event planners scour towns and cities near Manila for good event venues to hold out-of-town teambuilding and other corporate events as well as weddings and social gatherings also. Corporations that prefer to complete the event in one day to avoid staying overnight, preferred event venues are those that are located near enough to Manila for same day return. In fact any event venue destination that requires more than three hours of travelling is not feasible for day-tour events originating from Manila. Travel time not only eats into activity time for an event, a long journey tires the participants so much that they don’t have enough energy left for programs of the day anymore. Frequently visited private resort in Manila is Clearwater, highly recommended by travel guide as a place to go in Pampanga, a good hotel in Clark to stay in and a wonderful outdoor resort in Pampanga to relax and unwind with children, this exclusive resort in Pampanga is a place that kids really enjoy. Tourists and residents of Manila going out of town on a getaway to the north, frequently visit Clearwater Resort to take a break from stress of city living in Manila. The beautiful scenery and the quiet ambience of the lake and beach of this resort in Clark attract many visitors throughout the year, especially those who look for a good place to spend their holidays near Manila. Many visitors regard Clearwater as the best resort in Pampanga while event organizers and wedding planners appreciate this resort in Clark Philippines for its private event venues that are generally regarded as some of the best event venues in Pampanga. Events that use fishing as the main activity is increasing in numbers as Manila event planners are pressured to come up with more attractive ideas to stimulate interest from participants. These event venues in Pampanga lend themselves perfectly to these purposes. 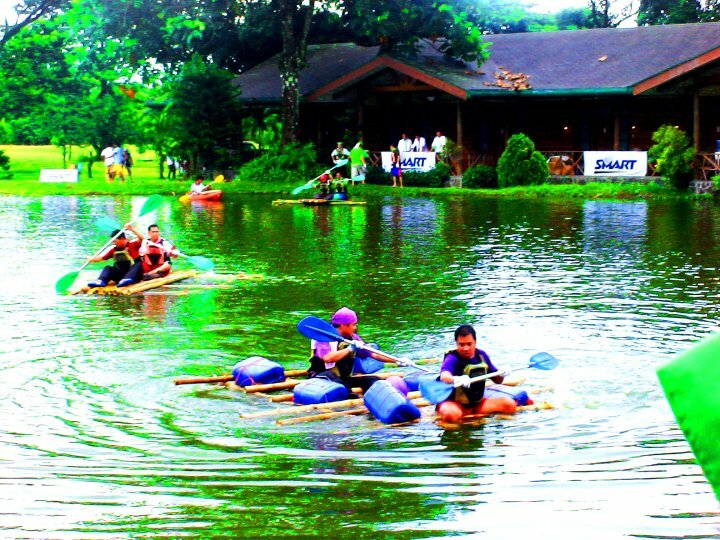 The fishing pond in Clearwater Resort is regarded as one of the best event venues in Pampanga for small groups of up to 80 persons. This pond is situated next to the outback tents that provide overnight accommodation for events in Pampanga.